Opposition parties have called for Gardaí, the DPP and the Director of Corporate Enforcement to investigate the content of the tapes. THERE HAVE BEEN calls for the Anglo tapes to be handed over to the Gardaí to investigate whether executives at the bank misled the government and the Central Bank as the institution faced collapse. In the tapes, two senior executives can be heard discussing the problems at the bank as the financial crisis reached a boiling point in September 2008. The tapes were published by the Irish Independent and document telephone conversations at the doomed bank in the days leading up to its bailout by the Irish government. Michael McGrath, the finance spokesperson for Fianna Fáil which was in power at the time of the bailout, said it was not clear whether the Gardaí, Director of Public Prosecutions or the Director of Corporate Enforcement is in possession of the tapes. 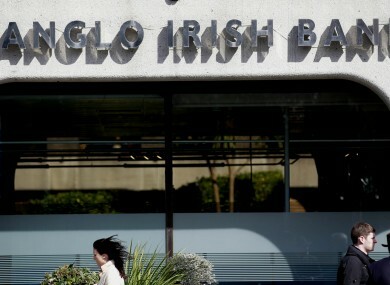 “Any suggestion that the taxpayer was lured into bailing out Anglo Irish Bank under a false impression about the state of the bank’s financial condition is deeply disturbing and has to be fully investigated by the authorities,” said McGrath. Pearse Doherty of Sinn Féin questioned how John Bowe and Peter Fitzgerald – the two executives heard in the tapes - had passed fitness and probity tests by the Central Bank. Email “Anglo tapes 'should be handed over to the Gardaí'”. Feedback on “Anglo tapes 'should be handed over to the Gardaí'”.